I was invited to be a guest contributor on The Letter Society! The prompt for this project was to create a movie poster for either an existing or upcoming film, or your favourite book that you'd like to see made into a film. So naturally, I went with my favourite book - Ready Player One, which recently got picked up as a movie to be directed by the legend himself, Steven Spielberg. The entire plot of the book heavily focuses on the main character (and everyone else in the world) trying to acquire three keys in order to obtain control of an online virtual reality network known as the OASIS, so I made those three keys the focus of my poster as well. 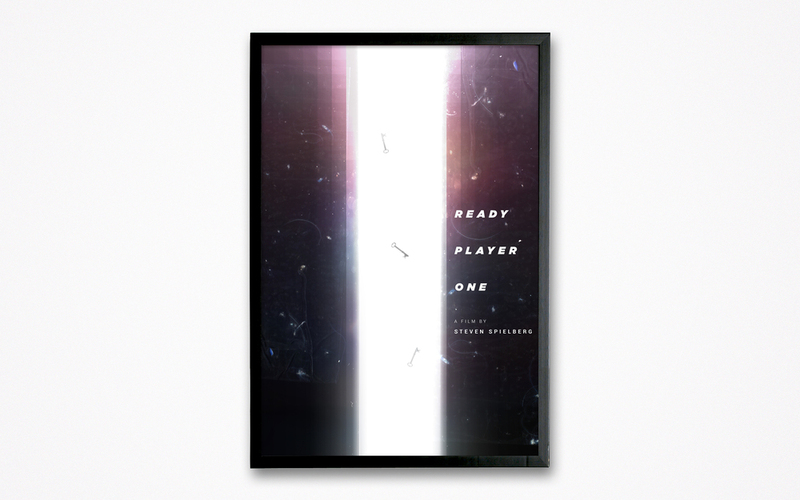 Also, the book is riddled with 80's video game and pop culture references, which influenced me to treat the overall poster like an old, worn frame of film, combined with a subtle touch of digital pixels.